With the upcoming release of Star Wars: The Force Awakens on December 18th, it’s safe to say that we’re gearing up for Star Wars marketing overload – and if you’ve ever had plans to launch a Star Wars-related Kickstarter project, now would be a great time to do it. Among other Star Wars-related items that have made it through the crowd thus far is what is arguably the best lightsaber for simulated sword fighting that we’ve ever seen. At least, it certainly knocks the R2D2-patterned socks off of discarded cardboard wrapping paper tubes. 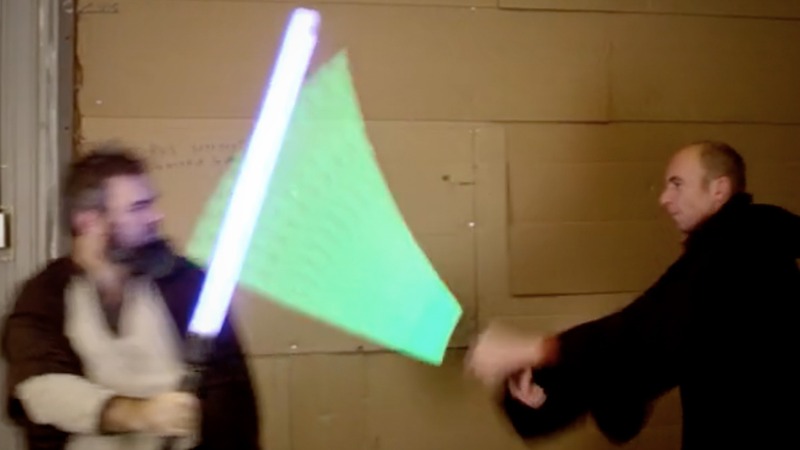 Created by Calimacil, a 10-year-old team of dedicated foam sword designers, the high-tech foam “LEDsabers” integrate lighting and sound components directly into a unique foam formula that’s been a decade in the making. 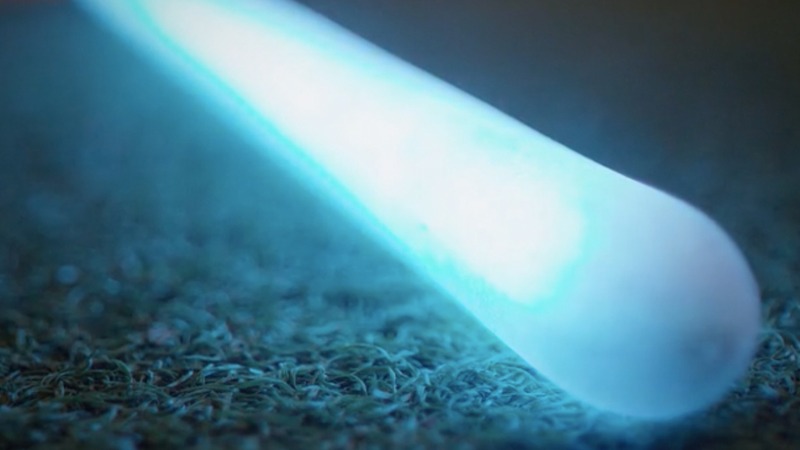 The result is a fully-immersive foam lightsaber that can be fully controlled (included color) directly on a smartphone via Bluetooth. Additionally, onboard movement detection is used to adjust the sound effects based on custom-built algorithms that can detect and discern between hits, swings and even a locked position to deliver the correct sound effect. With over three weeks to go left in their Kickstarter campaign, the team has already raised over $60K with an original funding goal of $38K. For those who have always wanted to satisfy their childhood fantasy of a ‘real’ lightsaber dual, you can get yours starting at the $99 Backer Reward level over at Calimacil’s campaign page.